Waterfront with private beach and pool, with a beautiful view of the harbour and the Castellorizo (Meis) island against the sunset. Very close to old city centre and to the harbour (400 m). 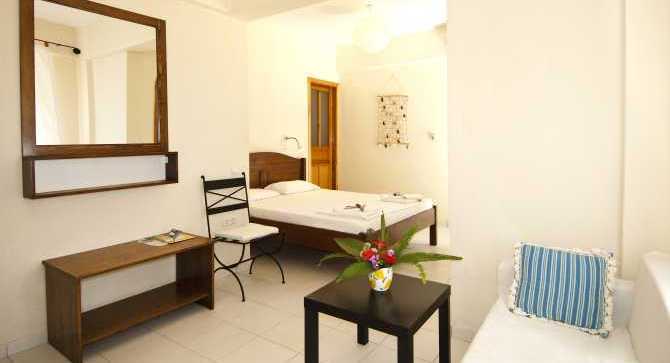 Rooms with balcony (sea view) with 2 or 3 beds, TV, A/C, shower & WC, phone and hair dryer, 24-hr room service, generator. Terrace, 3 bar/snacks, restaurant and parking. Outdoor activities offered by Dragoman: SCUBA diving, sea kayak, hiking, biking, coasteering. 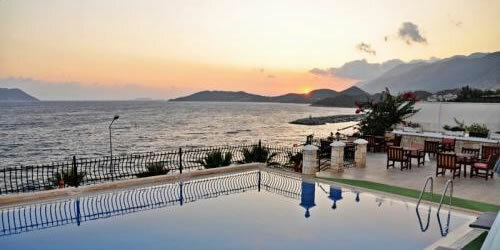 Properties: Hotel is very close to old city centre and to the harbour and our diving boat (100 m). Single, Double and Family rooms with beautiful garden view. Private bathrooms, internet, air-conditioning. Accommodation in family rooms are for 3 people and the price is for 2 or 3 people accommodation. For single accommodation the room price is reduced for 5 Euros. All prices are per vehicle and per one-way transfer. All vehicles have air conditionning.